Flowers have always been associated with weddings since the beginning of time. The ancient Greeks and Romans used hand-picked flower necklaces to symbolize fertility and new life and brides back then actually held herbs and spices to keep evil spirits away. Over time, the herbs and spices were replaced with flowers because they are believed to increase libido. Yes, paper. If the idea of having fresh and lush arrangements at your wedding is enough to break you out in sweat because of the expense, then a practical alternative would be to use paper flowers. There are many ways that paper can be designed to make it look beautiful, plus they offer a unique new take to something traditional and add a bit of personality especially if the couple are lovers of the written word. If you like the concept of repurposing old but deeply loved books, turning them into beautiful paper flower bouquets for the bride and her bridesmaids could be their calling. Your favorite pages could be used as a centerpiece in the arrangement or as a boutonniere for the groom. Some of them could be used as aisle decorations, suspended decors, garland, backdrop, centerpieces and more. If you prefer for your floral arrangements to look like real flowers and want them to last forever, consider getting silk flowers. They are artificial blooms that are often cheaper but look just as good in real life or in pictures. In fact, guests won’t often have a clue if the wedding flowers you have are not real unless they get really close or touch it. Silk flowers today are often produced so well that they look like the real thing and the good news is that they don’t wilt after a day two. This means you are free to hold on to them forever or give floral decors away to family, friends, and guests as a memento of your special day. 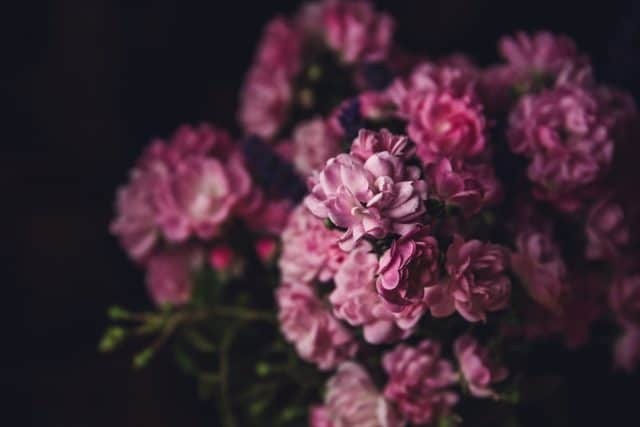 Furthermore, the beauty of using artificial flowers is that you don’t have to worry about season or availability because they are always available so you won’t have to resort to any other backup plans. If you insist on having something live but don’t necessarily want fresh blossoms or silk flowers, try looking at festive greens instead. Swap your traditional floral bouquet with a foliage bunch to add freshness and contrast to the sea of white or cream that is your wedding dress. The great thing about them is that they’re inexpensive, easy to find, and offers a fresh new twist to bridal bouquets. Use fragrant greens like eucalyptus, lamb’s ear, anemones, olive, narcissus, and many others. You can also combine fresh herbs like parsley, thyme, dill, rosemary, bay, sage. You can opt to combine fresh greens with common bouquet flower fillers like baby’s breath, sprigs of lavender, and more to provide some variation in textures. A rather unique bridal and bridesmaid bouquet idea is to incorporate fruits and veggies. This works best for fruits and vegetables that are in season. Summer brides may opt for really small fruits and take some hints from the color palette of the season. The same idea goes for all season. It is best to avoid fruits that might stain like berries especially if the brides and bridesmaids are wearing white and avoid larger fruits as the bouquets may get heavy. Whether you’re trying to find ideas for flower alternatives or looking to save money, it is best to take a bit of a step back to brainstorm what options you currently have. If working with a budget, it is best to consider other factors like the venue and whether it is necessary to have many floral decorations in your venue. What wedding flower options do you know? Tell it in the comments.